Andersson Dance/Scottish Ensemble – Goldberg Variations – ternary patterns for insomnia. Review by Julia Pascal. 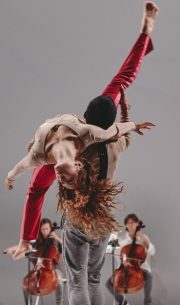 This is a playful, absurdist and yet serious performance of contemporary dance set to Bach’s Goldberg Variations.